Press Release (ePRNews.com) - ORINDA, Calif. - Dec 14, 2017 - Local builder Brooks Street is making it easy to build a custom home in the San Francisco Bay Area. The fully integrated real estate development company behind some of the most successful real estate in California — from master plans to urban in-fill, to sensitive coastal development and beyond — now offers its expertise, impeccable craftsmanship and a hassle-free process to aspiring custom homeowners at Wilder, Orinda, one of the region’s most dynamic new, luxury master planned communities. To deliver a dream experience, Brooks Street takes clients at Wilder through a six-part process that reduces build time, eliminates errors, lessens construction costs and results in a beautiful custom, luxury home. “Everyone wants to live in a home designed around their tastes and values, but the idea of building a dream custom home can be daunting. After many years in the business, we’ve honed a streamlined process that makes custom home building painless and actually enjoyable for our clients,” stated Scott Goldie, Partner, Brooks Street. “We start every project by listening to our clients’ needs and co-creating a design concept that complements their lifestyle and homesite,” continued Goldie. Everyone wants to live in a home designed around their tastes and values, but the idea of building a dream custom home can be daunting. 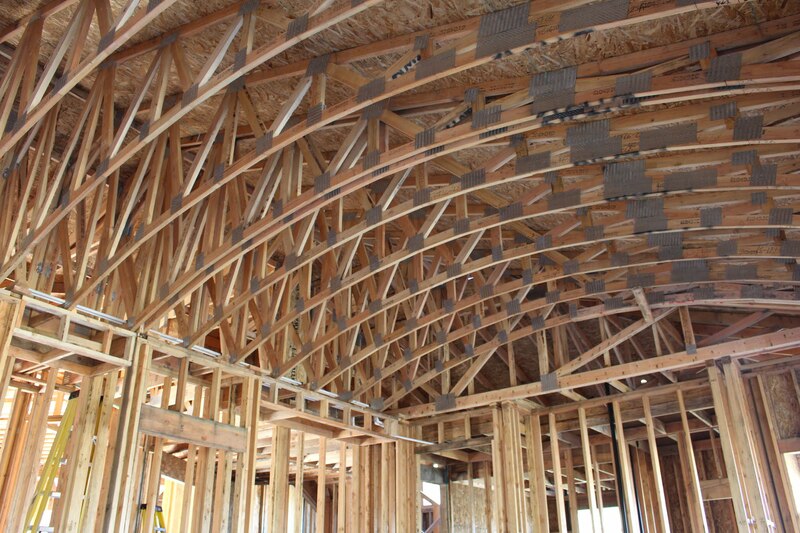 We’ve honed a streamlined process that makes custom home building painless and actually enjoyable for our clients. At Wilder, this includes observing the surrounding topography and orienting the home design around vistas of majestic Mt. Diablo. Next, Brooks Street guides clients through a formal design review with the City of Orinda and Wilder homeowners association. Once plans are approved, Brooks Street delivers the final budget and bids out the project to its network of vetted trades. Before construction starts, they present clients with a green building plan for improving the home’s energy efficiency and livability. Lastly, they track every dollar and document so that all legal and financial details of a custom home project are accounted for. In addition to being the most sought-after custom home builder at Wilder, Orinda, Brooks Street is also the master developer of the 1,572-acre master planned community that includes an impressive array of amenities such as the Quarry House, a private swim and recreation center, a 6,600 square foot Art + Garden Center, five community ballfields, and an extensive network of trails and pathways beckoning for exploration. Located just a short 25 minute drive from San Francisco off of Highway 24, Wilder residents also enjoy easy access to other major Bay Area employment centers such as Oakland and Berkeley, award-winning public schools, some of the East Bay’s best private schools, regional transit via the Orinda BART station, and the small-town charm of Orinda, named the second friendliest town in America by Forbes. “We chose Wilder because it had all the amenities and attributes we couldn’t find anywhere else in the Bay Area — a charming community with a small town disposition, highly rated schools, close proximity to San Francisco and Oakland, and an opportunity to build our dream home,” stated Wilder custom homeowner Steve Lo. With homesites selling from the $600,000s to over $1 million, Brooks Street custom homes at Wilder range from 2,500 to over 6,000 square feet. To view a model home, homebuyers are encouraged to visit the Brooks Street Sales Center, which is open Saturday through Wednesday from 11 a.m. to 6 p.m. To join the growing interest list for Brooks Street custom homes at Wilder and to learn more about this new, luxurious master-planned community, visit OrindaWilder.com or call (925) 254-9900. Established 1997, Brooks Street is the name behind some of the most successful real estate in California — from master plans, mixed-use and urban in-fill to entertainment venues and sensitive coastal development. Committed to strong operational focus and treating the earth with respect, Brooks Street’s expertise lies in navigating complex regulatory environments and building long-term personal relationships with partners, stakeholders and the communities in which we develop. To learn more about Brooks Street, visit Brooks-Street.com.